James Wilkins votes on Election Day in Vail. With five days to go until Election Day, the state’s election office is in full court press; ensuring county election offices are running smoothly and have everything they need before their biggest day of the year. Colorado’s director of elections, Judd Choate, made a visit to Summit County’s election office in Breckenridge this morning, giving a rundown of how the state’s election system works and how secure it is from outside attack. Since Colorado is an all mail-in ballot state, Choate’s job is made significantly easier. Issues affecting states that primarily or only do in-person voting — such as faulty machines, long lines, conflict between voters and officials at the polls, and general ballot disputes — are kept to a minimum as Colorado voters, for the most part, do the ballot delivery portion on their own. Choate is proud of how secure Colorado’s voting system is. Colorado was one of only 21 states able to track Russian hacking attempts in the 2016 elections and stop it before it made an impact. 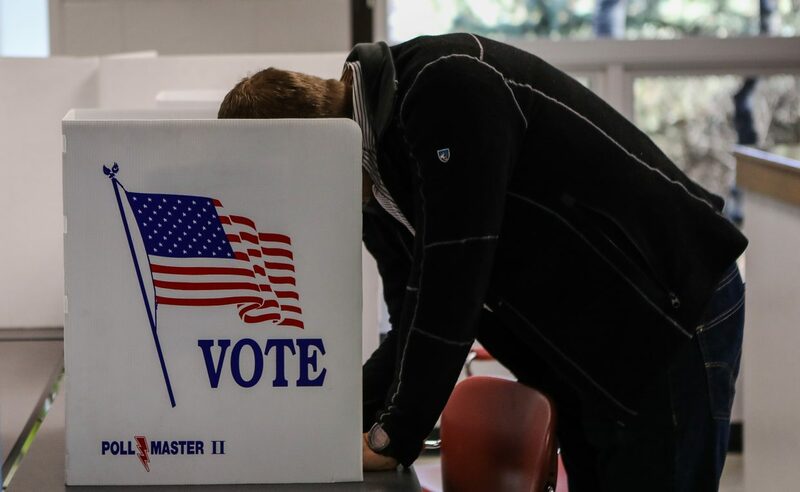 Choate said that 97 percent of ballots cast in this June’s primary elections were sent by mail, with 2 percent filing provisional ballots and only 1 percent voting in person at a booth. The only real human interaction with the ballots comes after they are received, when city or county election officials verify if signatures on the envelope match signatures on file. On the rare occasion there is an issue with the signature, the ballot is flagged for a second team to review, and if they are also not convinced the signature matches, the voter is notified that they need to clear up the aberration. Once the signature is verified, the ballot is put through a scanner and the answers are validated. The scanner, which runs on software certified by the state and is not connected to the web, tabulates every individual answer from every individual ballot, ensuring any individual’s ballot can be verified. This is important, as Colorado is the only state that does a “risk audit” before and after an election. The risk audit involves testing the ballot scanners individually with random sampling of ballots. If a machine is miscounting or misreading, extra tests are done to verify if the machine is working correctly. If it is not, it is set aside and the ballots are counted on a working scanner. This certifies that scanners are not miscounting votes or otherwise behaving strangely. Once it is verified that the systems are working as intended, final results are posted on election night through a central software system, which is scrutinized to make certain there aren’t any irregularities between what counties report and what the ballot-counting system tallies. Even after the counting is done, the certification process ensures ballots are accurate. Provisional ballots, which are usually filed if a person does not have ID on election day or is otherwise unable to verify their identity immediately, must be authenticated and are used in certain tiebreaker scenarios. Though some scenarios technically exist where the election office is unable to prevent fraud — such as if all 650 voters of Mineral County conspire to rig their own election with a corrupt election judge, never making the state aware of possible fraud — they are very unlikely and not scenarios Choate is particularly worried about. In fact, the state tries to go out of its way to let people vote — even if there are issues casting a ballot, people are always given an opportunity to cast a provisional ballot that can have an impact on close races.